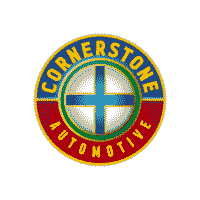 If you’re looking for an affordable used car that fits comfortably into your budget, then you’ll want to browse the selection of used cars under $10,000 at Cornerstone Auto. We know how expensive the car-buying process can be, which is why we offer a selection of makes and models that fit into more driver’s budgets. Visit us at your leisure to pursue our accessible models; our staff will be happy to show you our variety of reasonably priced used cars for sale in the Twin Cities area! Maintenance Package for up to 1 Year, *Manager Special - PRICE NOT A MISPRINT - THIS MONTH ONLY!! ***, 60/40 Split Fold-Down Rear Seatback, ABS w/Electronic Brake Force Distribution (EBD), Active ECO System, Adjustable Head Restraints, Advanced Dual Front Airbags, Bodycolor Door Handles & Mirrors, Center Console w/Storage Compartment & Armrest, Daytime Running Lights, Dual Heated Power Outside Mirrors, Electronic Stability Control, Front & Rear Door Map Pockets, Front 2-Speed Intermittent Wipers, Lower Multi-Box w/Cover, Manual Air Conditioning, Map & Cargo Area Lights, Motor Driven Power Steering (MDPS), Option Group 01 w/6-Speed Automatic, Power Door Locks, Power Windows w/Driver's Auto-Down, Rear Defroster, Remote Keyless Entry System w/Alarm, Solar Glass, Steering Wheel Mounted Cruise Control, Telescopic Steering Wheel, Tilt Steering Wheel, Tire Pressure Monitoring System, Traction Control System, Trip Computer, Trunk Lid Inner Cover, Vehicle Stability Management, Windshield Shade Band. Priced below KBB Fair Purchase Price! Odometer is 7442 miles below market average! 28/38 City/Highway MPG 2013 Hyundai Elantra 4D Sedan GLS FWD 1.8L 4-Cylinder DOHC 16V Dual CVVT 6-Speed Automatic with Overdrive Shimmering White Cornerstone Commitment offers new and used vehicle benefits and the YOU+ Service Plan. We are passionate about what we do and are committed to your Peace of Mind.